A recent Supreme Court ruling and newly elected government suggest Mexico could soon follow Canada down the road of cannabis legalization. Mexico’s Supreme Court ruled Oct. 31 – for the fifth time since Nov. 2015 – that a total prohibition of recreational marijuana consumption is unconstitutional. By reaching five similar rulings, the Supreme Court crossed the threshold that establishes jurisprudence. The ruling doesn’t allow commercialization, but it does permit personal possession and home growing. The Federal Committee for Protection from Sanitary Risks (COFEPRIS ) will have to authorize applications of people looking to grow marijuana for personal use. Mexican courts are required to follow this precedent in similar cases. Parliament must act to amend the necessary laws to reflect the court’s ruling. Until relevant laws are changed, recreational use is legal only for those who ask – and get approval – for its use. High-ranking members of the incoming Andres Obrador administration have signaled support for drug reform. Marcelo Ebrard, who will become foreign minister when Mexico’s new government takes office Dec. 1, told reporters the nation could “absolutely” follow Canada’s example and legalize marijuana. “We think it is a very interesting option in the short term for Mexico,” he told reporters, according to the Agence France-Presse. Ebrard was among seven members of President-elect Andres Manuel Lopez Obrador’s incoming cabinet – including former Supreme Court Judge Olga Sanchez Cordero – who were in Ottawa last week to meet their Canadian counterparts. Cordero, who will be the first woman to head up Mexico’s Office for Domestic Affairs, said in June she would ask the new president to legalize cannabis from seed to sale, even for recreational purposes. Vargas says legal cannabis businesses should start laying the groundwork now to expand into Mexico, whether the anticipated opportunities are related to medical cannabis or recreational. He said that also involves forming business relationships with potential partners in Mexico. Khiron Life Sciences – a Latin America-focused medical cannabis company based in Canada – is one of the companies taking early steps to enter Mexico. “You’re looking at a country of 120 million people that have significant similarities in culture and business with Colombia. We are looking for the right partners to enter,” Khiron CEO and co-founder Alvaro Torres said. 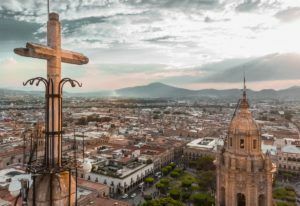 Establishing partnerships early with companies already in Mexico can help make entry into the market easier overall, providing regulatory and cultural insights that may otherwise be difficult to obtain. To date, 305 import permits have been issued for medicines derived from cannabis, according to COFEPRIS, the Mexican equivalent of the U.S. Food and Drug Administration. The country legalized medical marijuana in June 2017, and regulations were supposed to be drafted by COFEPRIS before the end of that year – but the agency failed to publish a regulatory framework. In September, COFEPRIS said the regulations are ready, but it is up to the current or incoming government to publish and implement them. If the regulations are released in the coming months, the Mexican market will be in a position for substantial growth.